I just found out that Palau joined the Mine Ban Treaty on 18 November 2007 (my birthday! ), bringing the number of States Parties to the Mine Ban Treaty to 156. The announcement of the accession was made on the first day of the Eighth Meeting of States Parties to the Mine Ban Treaty in Jordan. 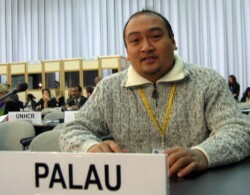 Palau’s close military ties with the United States, which has not joined the Mine Ban Treaty, complicated its ability to join the treaty. The announcement is really nice as I provided the Landmine Monitor update on Palau for this year’s report and have on several occassions met the diplomat who made the accession happen. Here’s a photo of Marvin T. Ngirutang that I took in Zagreb in 2005. 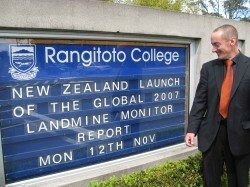 Today ICBL’s Landmine Monitor Report 2007 was released with events around the world. 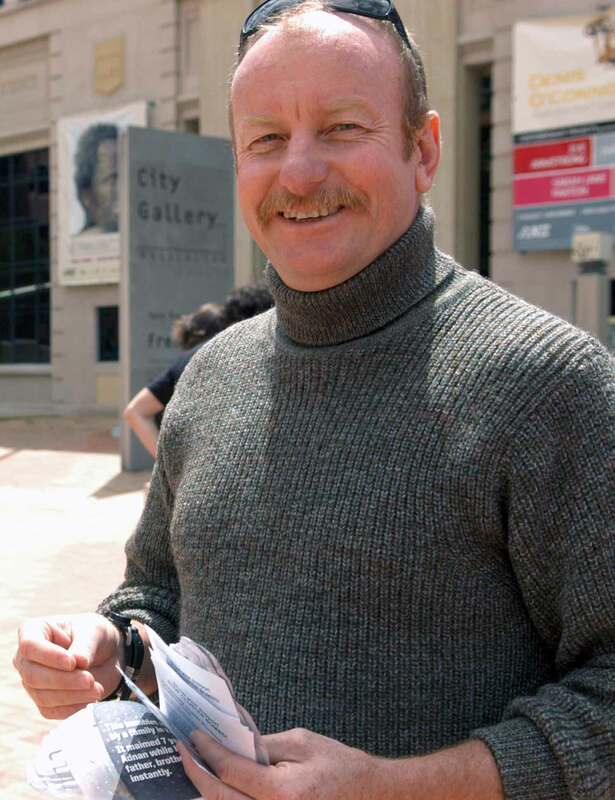 I provided the Pacific updates for this year’s report after the death of long-time landmine campaigner John Head. I handed the report over to David Hodge, principal of Auckland’s Rangitoto College (the largest high school in Australasia), at the conclusion of a day of activities on landmines and cluster bombs. The school’s media director Peter Harwood set up the launch to mark the conclusion of a school semester that had seen all 640 of the school’s Year 10 (Form 4) students learn about landmines as part of a national curriculum piece on social action. My film documentary film Disarm featured among the teaching resources. Landmine Monitor received some media attention here because, according to the South Korea update, New Zealand imported 1,000 Claymore mines in 2006. This mines are permitted under the Mine Ban Treaty if operated in command-detonated mode only. TV 3 also ran a piece on the launch event, but not until 8 December? NSP Research – Updates is powered by	WordPress 2.9.2 and delivered to you in 0.099 seconds using 16 queries.